Attracting a bigger and bigger audience on YouTube with your own videos is time-consuming. Why not have social influencers help you out? Many companies have achieved success when it comes to creating an audience for their content by reaching out to established online influencers—people who are extremely active on social media, online personalities, bloggers, and YouTubers—and encouraging them to share details about their company, product/service, or YouTube content, in exchange for free products or payment. 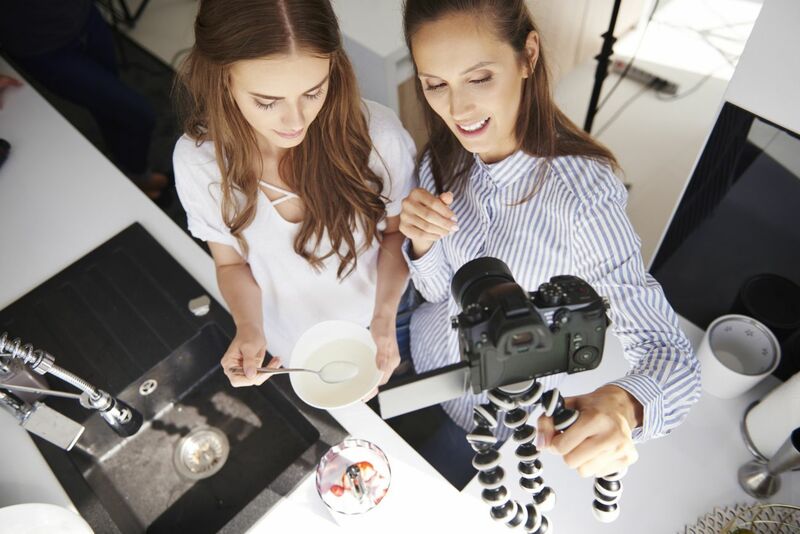 “Influencer marketing” can take many forms and has become an extremely popular way for companies to tap the popularity of social media and YouTube, and reach vast audiences, without having to build their own viewers, subscribers, and/or followers. In fact, many independent companies have been launched that specialize in influencer marketing and match companies with online influencers who target to the same audience. As you build your social media following and YouTube channel, it’s easy to analyze your existing followers, viewers, and subscribers using free analytics tools and other fee-based, third-party resources to learn how many online friends, followers, viewers, or subscribers each has. Identify people following your company’s social media accounts or who are subscribed to your YouTube channel who are highly active on social media and have the biggest following. These are influencers. Using a bit of creativity and negotiation, reach out to these influencers and request that they share your YouTube videos, or post messages on their social media accounts that promote or endorse your company and/or its products/services. By doing this, you’re generating word-of-mouth promotion using people who already have a large and dedicated following of people who fit into your target audience. In exchange for these influencers helping you to promote your company, products/services, and/or YouTube content, offer them a reward, free products, or a financial incentive, based on the size of their following and what the influencer does to help you. Because most online influencers have their own loyal following, when they recommend or endorse something, a large percentage of people who follow them will pay attention. If you want to take influencer marketing a step further, use a tool like Social Blade to find and identify well-established YouTubers, online personalities, bloggers, and others who are active on social media, and who are already successfully reaching a vast group of people who perfectly fit your target audience. Contact these influencers to discuss ways of working together to promote your company, products/services, and/or your YouTube channel. Produce collaboration videos with them that you publish on your respective YouTube channels. Pay the influencer to mention your products using their social media accounts. This could include them publishing a link to your YouTube channel page or recommending one or more of your individual videos. Pay the influencer to showcase, demonstrate, discuss, and endorse your products in their online content. This is referred to as product placement. How much you wind up having to pay an online influencer will vary greatly based on several factors, including the size of the audience they’re reaching and what they agree to do to help you promote your company or content. For many of the more successful YouTubers, creating content for their channel is a full-time and lucrative job, and they’re able to consistently achieve tens of thousands, hundreds of thousands, or even millions of views for each new video they produce and publish on their channel. Companies have discovered that working with established YouTubers and online influencers can be extremely beneficial for several reasons. These people have large and very loyal followings. When an established YouTuber mentions or showcases a product/ service, they’re making an endorsement, and that’s much more powerful in the mind of a consumer than if a company used a traditional advertisement to convey a similar message, since you’re taking advantage of the YouTuber’s reputation and influence. Plus, whatever you spend working with an online personality or YouTuber will likely be considerably less than running a traditional paid advertising campaign. As a company, you’re also able to tap into the established audience of the online personality/ YouTuber, without having to establish that audience yourself. Thus, you’re able to reach people in your target audience much faster, in a way that allows you to control the message.